Because you made us happier and our paths brighter…. 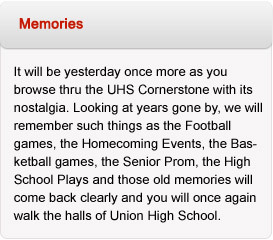 You are due all the Admiration and Respect from all the Alumni of Union High School. Charles Allen spent his entire life in Monroe County. He was a graduate of Union High School in 1934 where he was the salutatorian of his class, and knew at a very early age that he wanted to educate the young people o f Monroe County. To achieve this goal he received an Undergraduate Degree in Elementary Education and his Principal Certificate from Marshall University and a Masters Degree in Education Administration from West Virginia University. 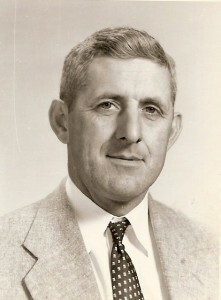 For over thirty five years he served as either Coach, Teacher or Principal of Union High School. In 1968, he was chosen to be the first Principal at Greenbrier East High School in neighboring Greenbrier County and then he returned back to his beloved Monroe County to accept the position as Superintendent of Monroe County Schools until his retirement in 1974. Charles was married to Mildred Fullen, also a graduate of Union High School…and later on a teacher at Union High School. They had three sons, Jim, Bob and Larry, also graduates of Union High School. Charles and Mildred celebrated their 70th Wedding Anniversary just days before his death August 26, 2009.